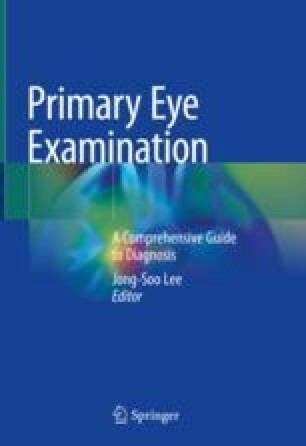 The fundus examination can be performed through fundus photography or by means of direct ophthalmoscope, indirect ophthalmoscope, and slit lamp. The fundus exam views the eye’s interior through the pupil, which is a small hole. If necessary, the pupil is examined after it is dilated with 0.5–1% tropicamide or 2.5–10% phenylephrine. Because pupil dilatation may cause angle closure glaucoma, it should be performed after checking the anterior chamber depth.